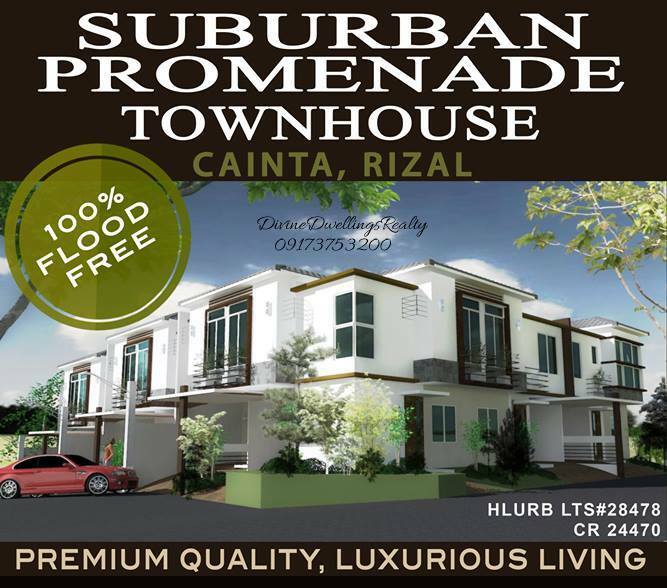 Suburban Promenade Townhouse Cainta Rizal is the first townhouse within the much loved neighborhood. Major thoroughfares are easily within reach such as Ortigas Avenue Extension, Marcos Highway, and Imelda Marcos Avenue. 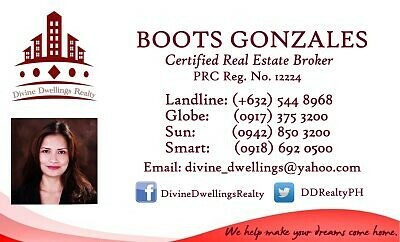 We take pride that the community is ABSOLUTELY FLOOD FREE as it lies on the higher grounds of Cainta, Rizal. Cainta, Rizal serves as the secondary gateway to the rest of Rizal province from Metro Manila. It became one of the most urbanized towns due to its proximity to Manila. This part of the region is complemented by commercial centers, schools, hospitals, civic amenities and host of recreational facilities. 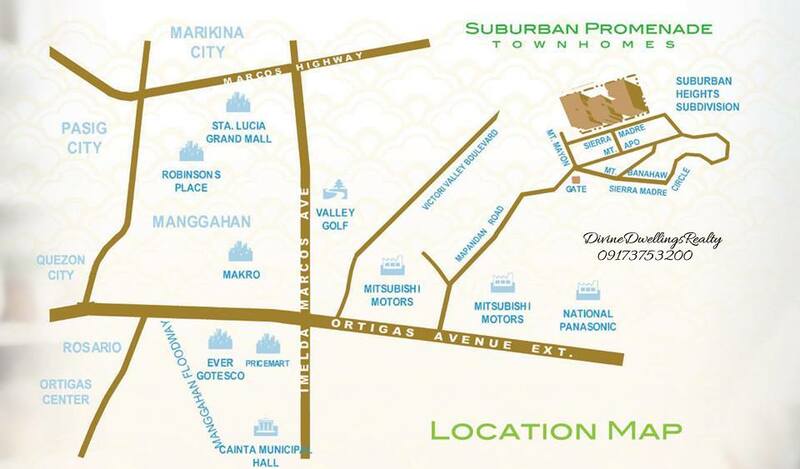 Landmarks near Suburban Promenade Townhouse Cainta Rizal are Cainta Junction, Mitsubishi Motors, Valley Golf and Country Club, Liwasang Bayan, Our Lady of Light Parish, Sta. Lucia East Grandmall, and Robinson’s Place Cainta. A mixture of contemporary design and efficient floor plans, Suburban Promenade Townhouse Cainta Rizal features 10 units in Block 1 and 13 units in block 2 with 2 & 3 storey residence and combines the comforts of an urban lifestyle and the convenience of an accessible city location. Floor developed area(s) range from 74sqm to 88sqm. Each unit is a complete family abode with one-car covered garage, living, dining, kitchen areas, 3 bedrooms, 3 T&B, a maid’s room, and a lanai/ service area. The development also boasts of its amenities which are exclusively for homeowners of Suburban Promenade. Take comfort knowing that your children can play at the playground, dip on the swimming on hot days, or have their birthday parties at the Function Room. Stay healthy for your family as the Clubhouse is also equipped with its own Gym. With its contemporary architecture, modern design features and easy on the pocket payment schemes, Suburban Promenade Townhouse Cainta Rizal is the ideal home for your family. Live your dreams here at Suburban Promenade Cainta, Rizal. For other concerns about this project and actual site viewing, please do not hesitate to contact me.